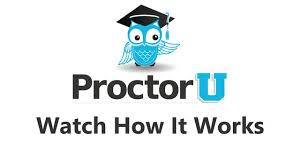 Proctor U: See How It Works . Test Your System Below. Proctor U: How To Schedule An Appointment! 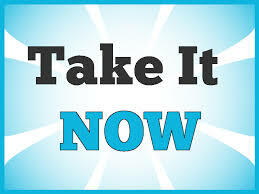 Click here for directions for Student Sign-up/Registration. Authenticate the test taker’s identity to ensure that the person being monitored is the correct student. Observe the test taker via a webcam. The student is connected to a real person who guides him/her through the process. Watch the test taker's screen in real time and can see everything the student is doing both at the location and on screen. NOTE: All Mid-term and Final Exams MUST be proctored via Proctored U. Whether you take the exam at home or in a testing center, you MUST use Proctor U so your exam is recorded and proctored in accordance with eCollege policies regulating the authenticity of your results. A minimum of 72-hour notice is required to schedule an online exam with ProctorU. All appointments should be made at least 3 days in advance, since reservations made within 72 hours of your exam are subject to a $5 late reservation fee. The exam can be taken online at your convenience, at a specified date and time. The exam is a timed, online exam (see the exam description in your course syllabus for course-specific exam time limits). Two forms of photo ID, along with a webcam, microphone, and computer with Internet connection are required. Exams proctored through ProctorU cost $14.75 (1-hr. exam), $21.50 (90-min. and 2-hour exam), or $30.25 (3-hour exam) billed when you schedule the exam. This fee covers the entire testing experience regardless of how much actual time it takes to complete the exam. Refunds are given if the exam is canceled within 48 hours before the scheduled exam time.